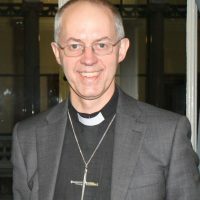 The Archbishop of Canterbury is the Church of England’s equivalent to the Bishop of Rome. This archbishop is the head of the Church of England and the Anglican Church, worldwide. Augustine was the first Archbishop of Canterbury, and since then, 104 bishops have followed in that role and been given that title. In the 1600s, the Archbishop of Canterbury affiliated with the newly Protestant Church of England rather than the Roman Catholic Church. With the role of Archbishop comes the presidency of the ecumenical groups, Churches Together in England. Moves to ecumenism have grown rapidly in recent years, with the Archbishop of Canterbury beginning to meet with the Roman Popes and attend significant events like funerals and inaugurations of Popes since at least 1997.